Tune the projector before your presentation in a few easy steps, or compare 3D technologies on your next home theater system. Just connect to an HDMI, AirPlay, VGA or other video output and this app will give display test patterns with simple instructions for tuning your image. Run TV TuneUp 3D in Executive mode, and you get a series of simple steps with clear instructions to perfect the picture on your projector or display. 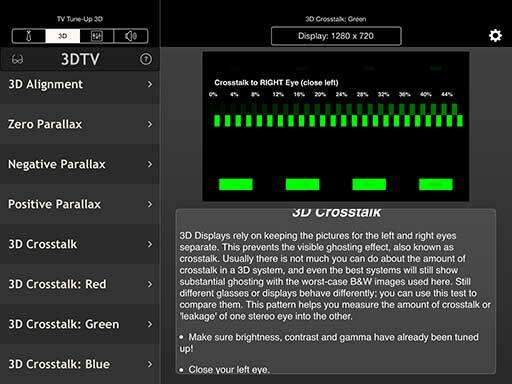 In 3D mode, the app provides advanced tools for measuring the ghosting or crosstalk for a different combinations of displays and 3D glasses, for example. Use engineer mode to view a selection of standard test images matched to the resolution of your display. From NTSC from your iPhone's Analog Video Adapter, to full HD 1080p on your iPad's HDMI connector, TVTuneUp3D delivers pixel-perfect synthesized test patterns and industry-standard charts provided by top test-equipment manufacturer LYNX Technik. Your iPad or iPhone can send a 3D picture to your 3D TV, and TV TuneUp 3D gives you the tools to find the best system, and get the most from it. 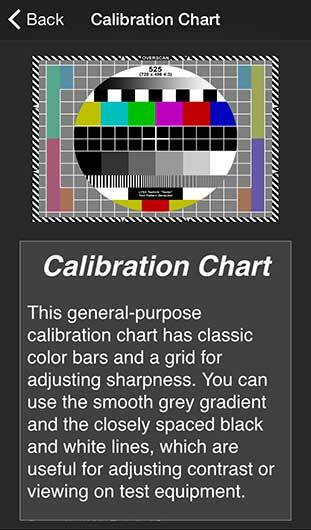 Check the stereo alignment in either Top-and-Bottom or Side-by-Side stereo modes. Use the crosstalk test to measure and minimize ghosting. Find the best glasses or compare the systems in the store before you invest. Ghosting cannot be completely eliminated, but now you can reliably compare different systems, and even tune them to reduce the problem. Tune up the seats! Use the parallax samples to to find try different levels of 3D effect. Make sure the seats are not too close or just verify that the 3D is working, no blu-ray DVD required. 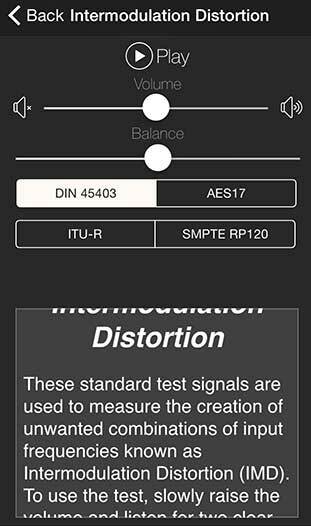 With sample audio tests provided, you can optimize the stereo separation of your audio system, verify the speaker wiring polarity, and check for distortion. Audio Test Signals - We listened to your requests and added not just a few simple tones but a set of standard audio test signals you can use to test audio equipment for distortion before you buy, or tune your home theater.